Artist made brooch. 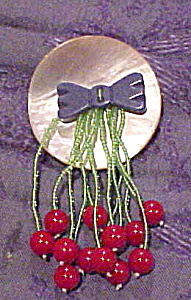 This is made of mother of pearl, a bakelite bow, red glass beads and green seed beads. 2" X 4"